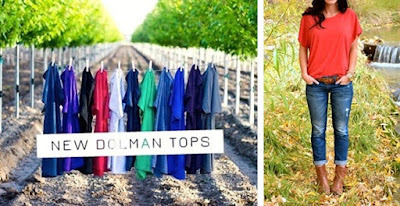 I'm loving these Perfect Dolman Tri-Blend Top Fit Tees for $9.99 (Retail $22.99), which can nicely be dressed with anything in the closet! This new comfy tee is perfect for any event! The lightweight soft fabric and loose fit will give you the style yet comfort everyone wants. It's easy to dress up or dress down and with all the different color options is easy to match with any wardrobe. Fabric Material: 50% Polyester, 25% Cotton, and 25% Rayon. Fabric Laundered. Extremely soft, comfortable, great recovery and stretch. $3.99 for the first item and $2.99 for each additional item. US only. Seller usually ships within 6 business days. Ships no later than Sun, Jun 05.